Chemical analysis of the plant Cosmos caudatus Kunth reveals that it contains substances that can lower blood sugar naturally. Selangor, Malaysia, Oct 2, 2018 - (ACN Newswire) - Researchers in Malaysia have shown that the plant Cosmos caudatus Kunth contains chemicals that can lower blood glucose levels. These plant-based substances could be investigated further as potential therapeutic agents to help manage high blood sugar in diabetes, a disease that affects 422 million people worldwide. Diabetes takes several forms, but is commonly characterized by the body's inability to properly produce or respond to the hormone insulin, which leads to elevated glucose levels in the bloodstream. Controlling blood glucose is crucial because elevated sugar levels can damage the heart, eyes, nerves, blood vessels, and kidneys. 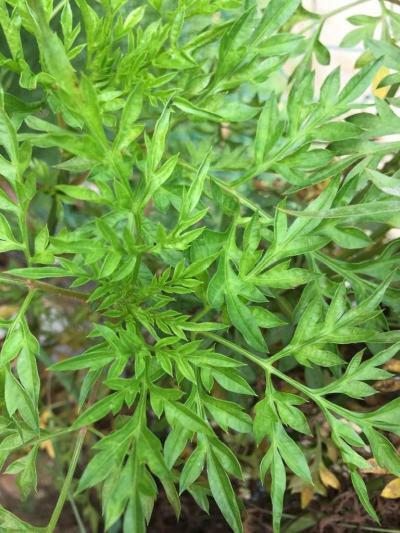 Cosmos caudatus, known as Ulam raja ("King's Salad") in Malaysia, is an important herb commonly consumed as a raw vegetable that is well-known for its health benefits. It is found in Southeast Asia, particularly Indonesia and Malaysia. Cosmos caudatus has long been used in traditional medicines to help treat high blood pressure, arthritis, fever and diabetes. 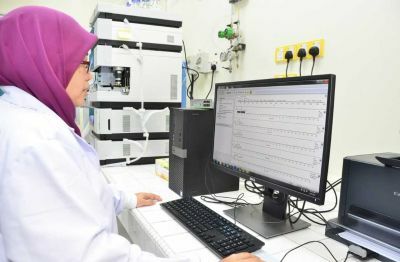 To see what might be behind these reported benefits, researchers from Universiti Putra Malaysia (UPM) and International Islamic University Malaysia characterised the chemical profile of C. caudatus leaves. They created an extract from dried, ground leaves of the plant using an organic solvent, and then analysed the chemical constituents present in the extract. They showed that C. caudatus is rich in chemicals known as flavonoid glycosides, which can reduce blood glucose levels by inhibiting alpha-glucosidase, an intestinal enzyme involved in glucose uptake in the gut. Further analysis is required to quantify exact amounts of flavonoid glycosides present and compare to other sources. The researchers also performed a biochemical test to assess the antioxidant potential of the flavonoid glycosides in C. caudatus. This is relevant to treating diabetes because the disease can lead to cellular damage caused by increased production of reactive oxygen species. They found that the flavonoid glycosides showed "very good" free radical scavenging activity -- one of the more potent extracts inhibited up to 84.5% of free radical activity in a test tube. The results, published in the Pertanika Journal of Tropical Agricultural Science, indicate that C. caudatus leaves are a rich source of bioactive compounds, and could be further investigated for development into a botanical nutraceutical product for diabetes and blood sugar management. Further research will be required to determine to what extent the plant's bioactive compounds could lower blood glucose and reduce free radicals in people with diabetes, as well as any potential side effects. "We hope to next carry out an animal study to validate the pharmacological effect of the plant extract and further understand its mechanism of action," says Khozirah Shaari, chemistry professor at Universiti Putra Malaysia. Pertanika Journal of Tropical Agricultural Science (JTAS) is published by Universiti Putra Malaysia in English and is open to authors around the world regardless of nationality. Beginning 2012, it would be published four times a year in February, May, August and November. Other Pertanika series include Pertanika Journal of Science & Technology (JST), and Pertanika Journal of Social Sciences & Humanities (JSSH). Distributed for Pertanika Journal by ResearchSEA. How to get the most fuel out of microalgae?